Prague is on a lot of people's bucketlists, and for good reason: it's a beautiful, cheap city with lots to do and see. 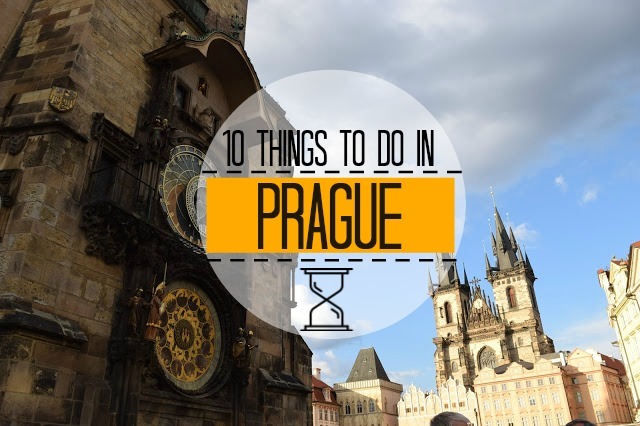 Here are our favourite things to do in Prague - which will happily fill a long weekend. The Astronomical Clock is the most recognisable site in Prague. Some love it, some hate it, lots are disappointed by it: why? Because the little show it does on the hour, every hour, is slightly underwhelming. Regardless of this, you've got to see it! 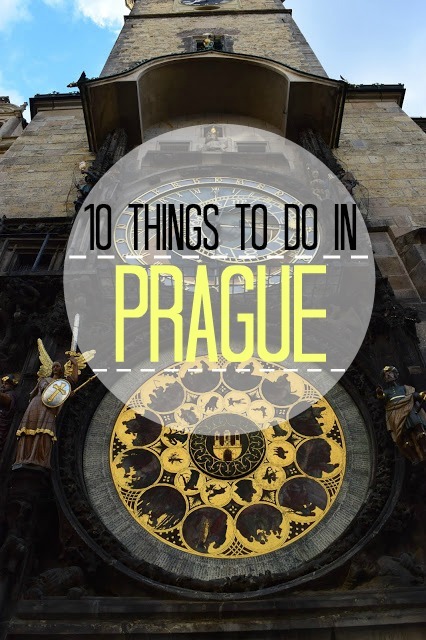 Visiting Prague and not seeing the Astronomical Clock is like going to Paris and not seeing the Eiffel Tower. Like David Morrissey aka the Governor from the Walking Dead!! In the 80s, John Lennon was seen as a pacifist hero by many young Czechs. When he died someone painted him on a wall. It was soon joined by Beatles lyrics and activist graffiti. To this day you can still view the wall and the graffiti in all its glory. When we visited, a young man was playing a guitar and singing Beatles' songs by the wall, it was very atmospheric. Charles Bridge is the most famous bridge in Prague. Historically, it was very important as up until 1841, it was the only way to cross the river. Nowadays, it's covered in tourists and people selling souvenirs. It's an excellent place to get a great photo of Prague. Like many well defended castles, Prague Castle is situated on a hill. For us this means one thing and one thing only: great views. Prague is well known for its beautiful orange-roofed houses and we found that Prague Castle was the best place to see said roofs. You don't even have to go into Prague Castle, just standing outside it will do. U Zlateho Tygra is confusing, crowded and old fashioned - and we LOVE it!! We walked in and tried to sit down, and were told to sit somewhere else (which was unfortunate as we were trying to sit with our friends who were already there, and explaining that took a lot of pointing and waving). We then tried to order a beer at the bar, this is also a big no-no. After being really confused and slightly offended, the waiter then turned up with a beer for each of us, and started a little tally on a piece of paper. It reminded us a lot of the pubs in England - aka it was very, very old fashioned (think Medieval times). It was so authentic and cool though, we loved it! There were plenty of locals there, in fact I think we were the only tourists. It turns out Bill Clinton had had a beer here!! As for the beer itself, they only serve one kind and it's delicious. Whilst we're talking about drinking, how about visiting an absinthe bar? In terms of the local to tourist ratio, this was pretty much the opposite of U Zlateho Tygra bar (i.e. all tourists, no locals). It's still a really cool place though. The waiters really know their stuff and will (albeit slightly grudgingly) help out absinthe newbies. The Trdelnik is a traditional sweet pastry. It's made by wrapping dough round a stick, so it has a hole in the middle - basically a long doughnut. The hole can be filled with cream, fruit, ice cream - or even savoury things, or it can just be eaten plain. The outside is covered in sugar and sometimes walnuts. It actually wasn't our favourite Czech snack, I'm not sure if we picked a bad shop or if it's meant to taste stale.. but we sure loved taking photos of it! Like many European cities, Prague unfortunately has a lot of homeless people. Whilst I can appreciate that you're not going to be able to give to all of them, it's still nice to give something, anything, to at least one of them. If you're not comfortable giving spare change, why not give some spare food. What I hated about Prague was the attitude of most tourists to the homeless. We witnessed many people taking selfies and photos of Prague, whilst ignoring the poor people begging at their feet. I think this is selfish, mean and weird! Please try and give to at least one homeless person, or even take it a step further and try a Pragulic tour - tours of Prague through the eyes of homeless people. An easy and interesting day trip from Prague is to Sedlec Ossuary. 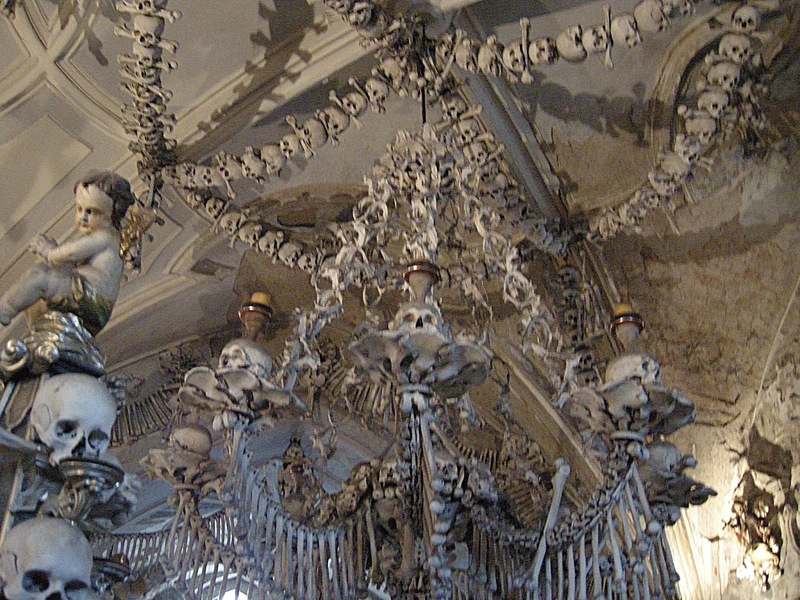 Sedlec Ossuary is a chapel in Kutna Hora which contains around 50,000 skeletons. Many have been used to decorate the chapel itself. The cheapest and quickest route from Prague to Sedlec Ossuary is by train. Boutique Hotel Seven Days Prague is in the perfect location - to the one side, all the main touristy attractions are just a stone's throw away; and to the other side, equally as close, are the suburbs of Prague where the locals live, shop and drink. To find out more read our full review of Boutique Hotel Seven Days Prague or find them on Tripadvisor. Prague is a vibrant, fun and interesting city. Whilst we didn't love it as much as Budapest, we still thought it was a great city that we'd love to go back and explore further. Would you like to go to Prague? What would you like to see there?